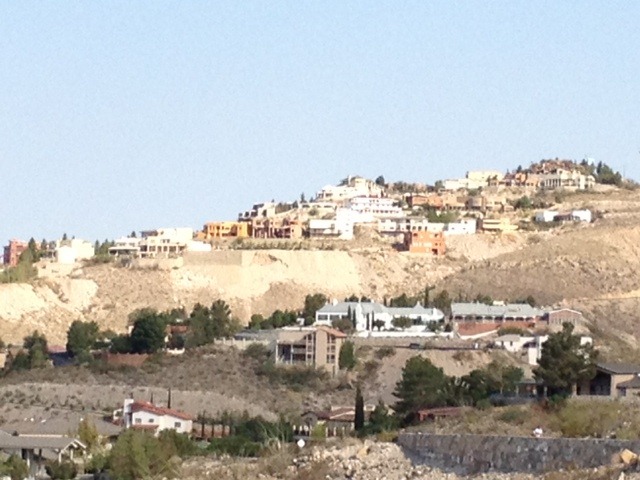 One of our first stops upon arriving to El Paso last week led us to the local running store in town. 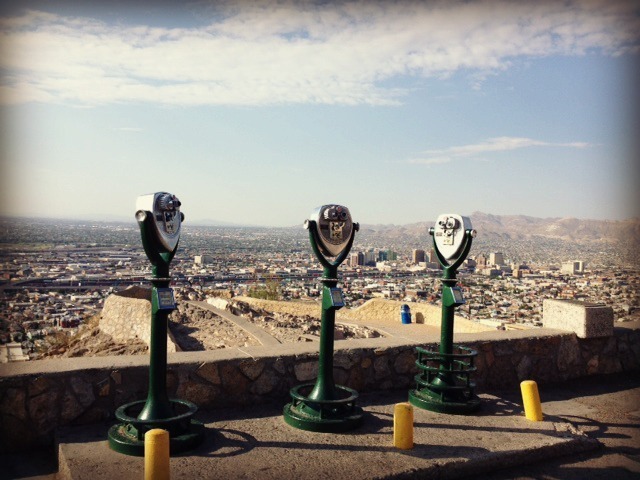 There I met a women who told me of the amazingness of Scenic Drive Park here in El Paso. 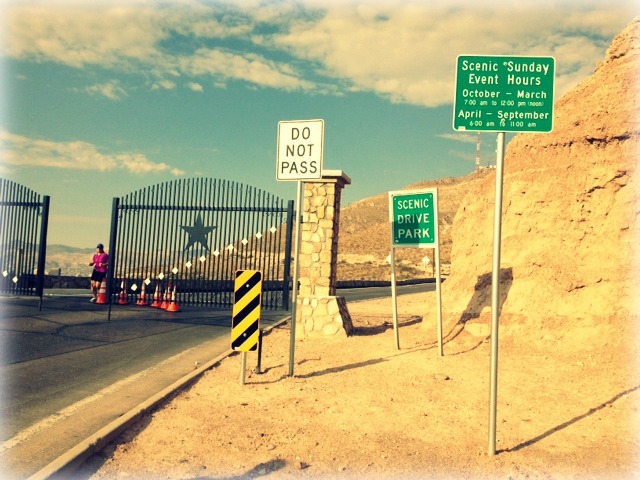 THE EXPERIENCE: Every Sunday between 7:00 am – 11:00 am this almost two mile road is closed to all motor vehicles. 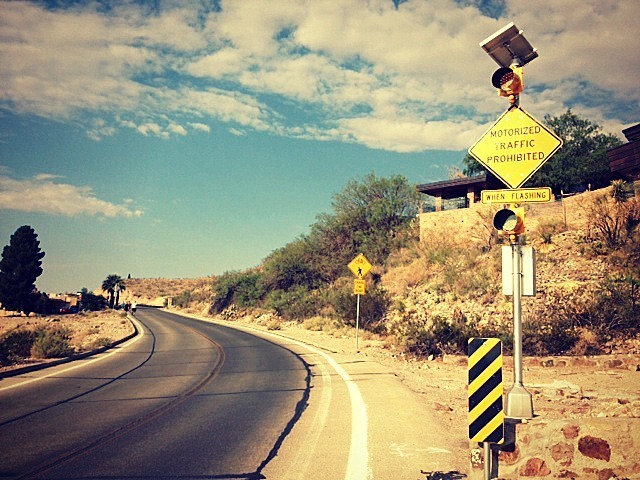 It’s a a twisty and hilly road that hugs the mountains and overlooks all of the city. 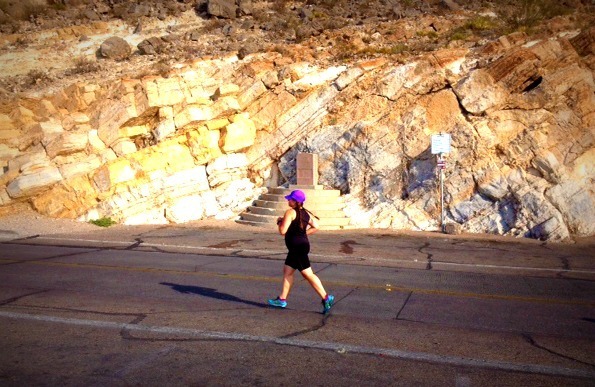 We heard it was the best place to run in EP so of course we hit it up last Sunday morning! The climb of this short run is no joke, I was huffing and puffing the entire way. And you better believe that I took advantage of the scenic overview stops to snap some photos. You know for a photo break not a walking break. Riggggght. It was fun to see bikers, runners, and even walkers out enjoying the beautiful morning. And I was just so excited to have at least one running route here in El Paso, even if it is only available on Sunday mornings. There is something so freeing about running in the middle of the road without worry of any traffic, all whilst looking over your shoulder and viewing the heart of the city. Amazing I tell ya! Happy Running my friends! And now that I’m back in Idaho for almost 2 weeks, you can bet I will be hitting up some of my favorite running paths here! So exciting. If you are interested in sharing a RAVE RUN of your own from your favorite running path please feel free to shoot me an email at destination26.2 at gmail dot com. I would love to feature other Rave Run’s here. 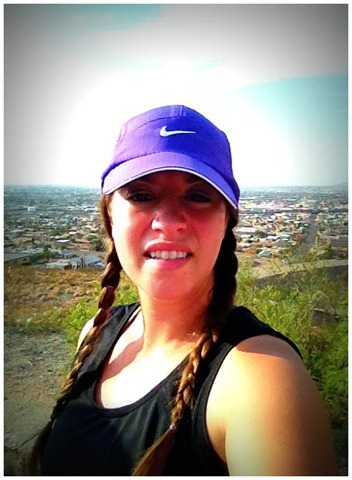 This entry was posted in Running and tagged El Paso by The Linz. Bookmark the permalink. beautiful pix! yay for no traffic. that is an amazing spot! have fun! Oh gosh, that looks like such a good time. I freaking love texas. What a gorgeous vista! Thank you so much for sharing! I think it’s awesome they close the road for runners ! 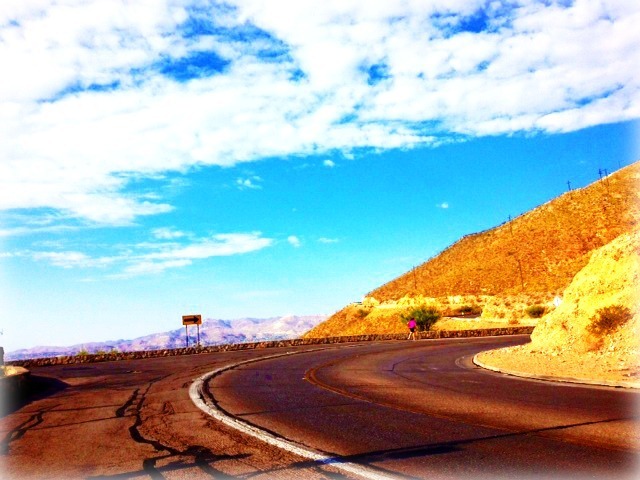 Beautiful road but the hills look like no joke! Good job! !